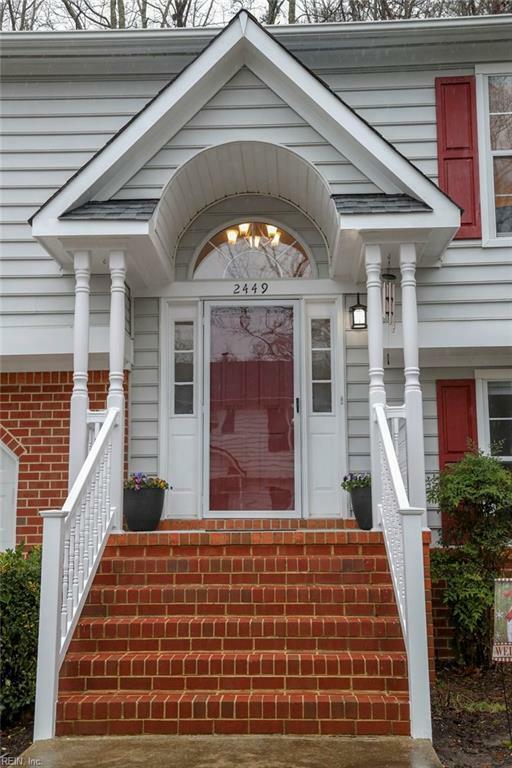 2449 Timber Rn, Virginia Beach, VA 23456 (#10242056) :: Abbitt Realty Co. This beautiful single-family home is located in the quiet residential condo community of Courthouse Woods and shows such pride of ownership. So many updates!! 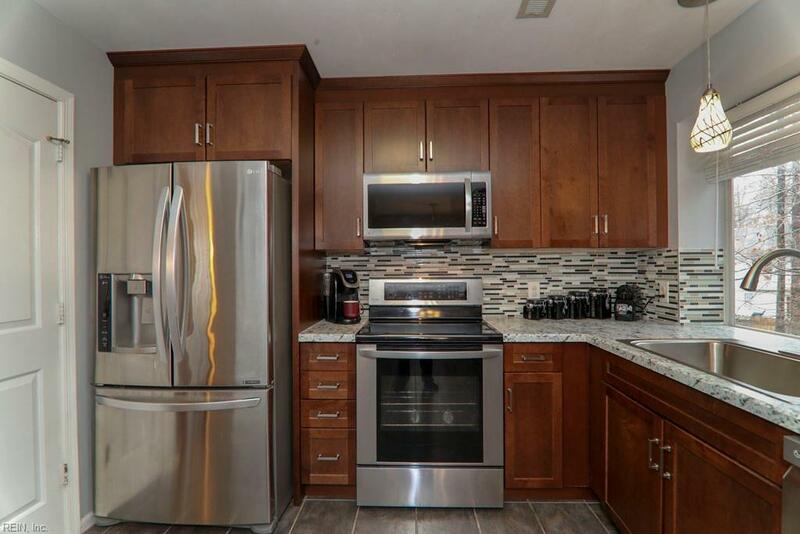 Recently renovated kitchen with new cabinets, granite countertops, stainless steel appliances, tiled backsplash and ceramic flooring. 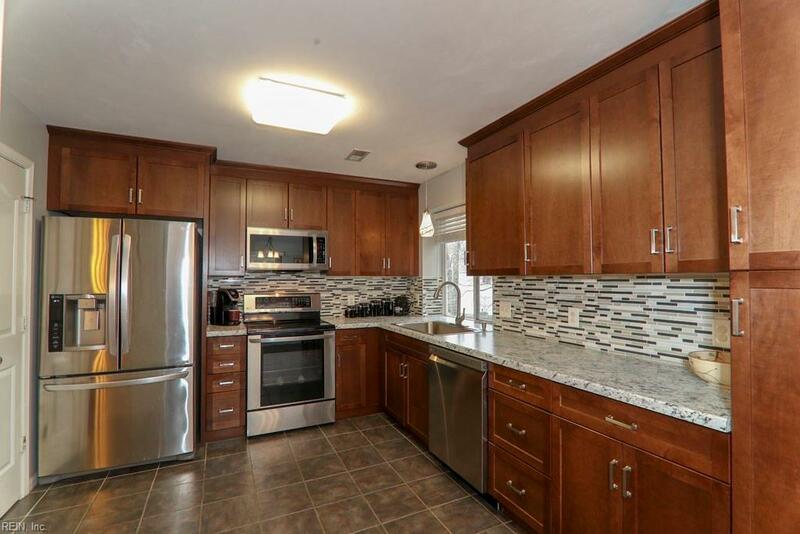 Open kitchen, dining room and family room area with cathedral ceilings. Cozy kitchen breakfast nook. Enjoy the wood-burning fire place located in the first floor family room. New wood flooring in the shared living areas. All but two bedrooms painted within the past year. Roof replaced in 2015, hot water heater in 2018 and front lawn sprinkler system in 2018. Fenced-in backyard with tranquil wooded view. 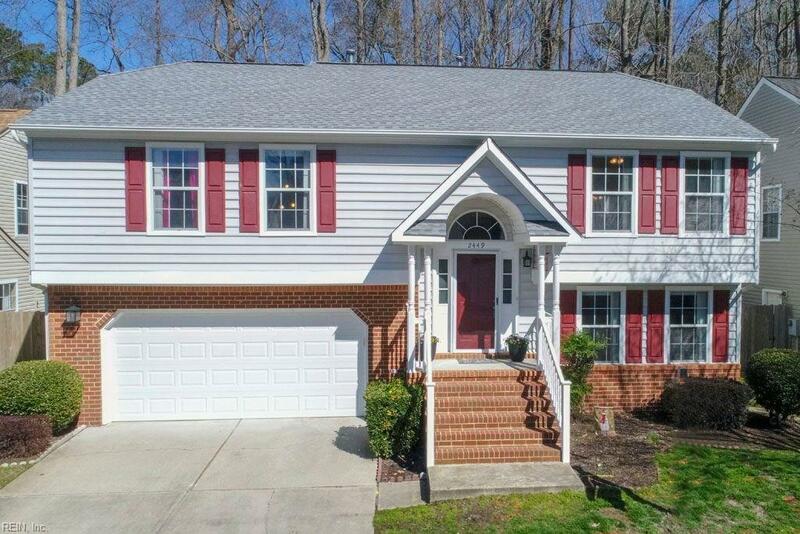 Home located in the new Kellam High School district. Quick access to shopping and Ocean/Dam Neck bases. Just a short drive to Oceanfront, North Landing River and nature trails. Spacious garage provides ample room for extra storage or a workout area.